Which glass is the most suitable for the enjoyment of beer? The sommelier trainer Martin Darting can well imagine the answer would be the new glass design “Monaco” from RASTAL. Because to make sure the new “Monaco” series will now make enjoying a beer a truly “royal” experience, the glasses were meticulously tested by sommelier trainer Martin during their development to determine how they influence the senses of taste and smell. 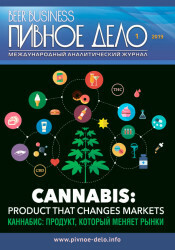 The conclusion: the Monaco 0.3l and Monaco 0.5l, which, as Darting found, “provide high aroma intensity with fast foam creation and long-lasting foam stability. Taste development is restrained – noticeably regarding bitterness – but yields a striking degree of aroma fullness. 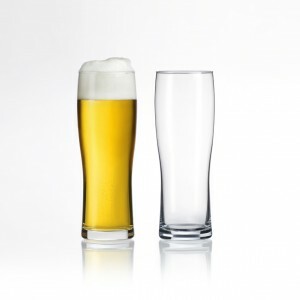 A glass that surprises, and whose distinctive characteristics make it a winner despite its smaller capacity.” Darting’s findings also established that the elegant wheat-beer glass character of the “Monaco” design provides a freshness and clearness that make it especially suited for Kristallweizen beers. Beer-tasting and evaluation is also the focus of the second important RASTAL theme at this year’s Brau Beviale. 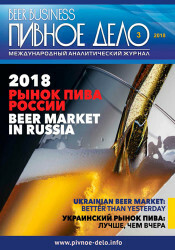 And the experts in the field of decorated and drinking glasses are once again this year partners of the European Beer Star Awards presented by the Association of Small and Independent Breweries of Europe. 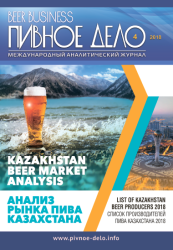 955 beers in 44 categories from all corners of the world will be judged for the Beer Star Award in this year. 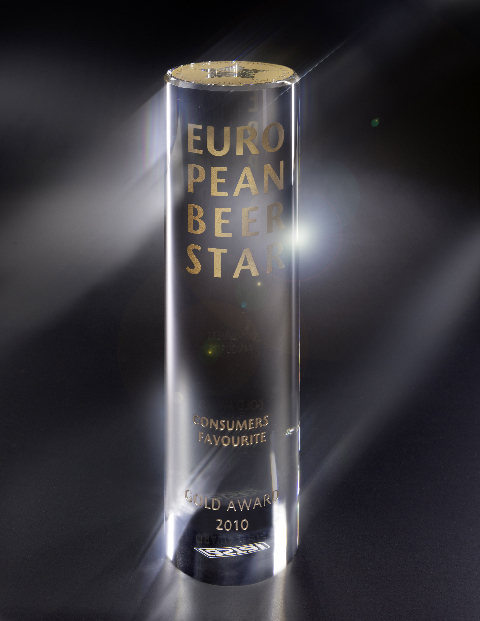 The three best in each category will be taking home the trophy won by the brightest stars in this year’s beer heaven. It was conceived by two designers; Harald Kl?tzl, based in Munich, and RASTAL Design Head, Carsten Kehrein, H?hr-Grenzhausen. Production is in the hands of RASTAL: special highest-quality one-off production of a heavy glass cylinder, weighing more than two kilos, its lines symbolizing a beer glass in simplified form. The special feature: the solid glass body of the Trophy allows the attractive interplay of the laser-engraved logo and text elements to be seen from any viewing angle. The ranking is identified by the colours of the decoration elements, which shine in the Trophy’s traditional gold, silver or bronze. A number of new decoration ideas and techniques are also on the RASTAL programme at Brau 2010. 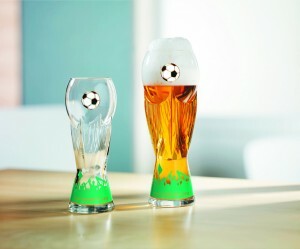 With its sights on coming major events, RASTAL is presenting concepts for glass design and decoration for promotions timed for the FIFA Women's World Cup 2011 on its stand. 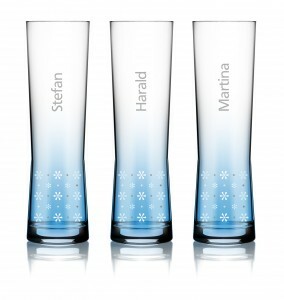 As an example, in keeping with the trend to individualization, a new laser technique from RASTAL can be used with little expenditure in time and costs to produce “individualized” glasses bearing the names of the participants for a prize draw as part of a promotion. Quite a number of marketing experts may well be already thinking that this creative possibility will be the Christmas-gift trend in 2011. And that’s not all. RASTAL is also presenting the first results of its new relief technique: for the first time, raised or sunken relief motifs can be applied to existing stemmed glasses. 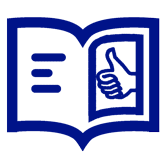 This is achieved seamlessly, creating a both visual and haptic impression of highest quality. 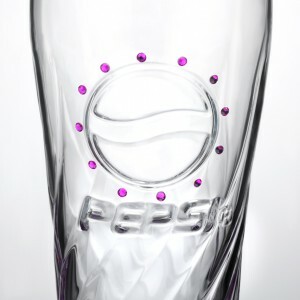 And from the Pepsi glass with paste gem decoration to Redd’s or the Carlsberg “glass-as-bottle”, to a great diversity of on-pack solutions, there are so many surprising ideas to admire again which were offered to an enthusiastic promotion world in 2009/2010 – and with more to come in 2011. RASTAL does not only make the “bespoke suit” for a beverage, it also thinks ahead to benefit its customers. The cross-marketing concepts developed by RASTAL provide a powerful performance environment for the core theme, the beverage – from logistics to the visual appeal of a glass, to successful presentation, finishing with pure enjoyment. Latest example, in perfect time for this year’s Brau Beviale: the well-known chocolatier, Sabine Pauly, has created three beer truffles for RASTAL, which, enjoyed with a glass of chilled, refreshing beer, bring to the fore the harmony of taste in malt, hops and chocolate. - the Hefeweizen truffle with sweet, salty groundnut p?t? is an enticing contrast to the distinct yeast note of wheat beers that beer-connoisseurs value so highly, and thus creates a highly satisfying balance in taste between beer and truffles. Meanwhile, just a few weeks ago, RASTAL celebrated a “crystal” jubilee with its environmentally-friendly UV printed glasses: during the last three years, twenty-five million glasses have been printed by RASTAL in H?hr-Grenzhausen with pin-point accuracy and faithful colour-scheme reproduction – an increasing share of overall production. The automatic printing machine for this world’s first was developed by RASTAL itself, supported by its partners, Karmann, ISIMAT and Marabu Farben.